Sonja R. West joined the University of Georgia School of Law in the fall of 2006 and is the holder of the Otis Brumby Distinguished Professorship in First Amendment Law, a post shared by the law school and Grady College of Journalism and Mass Communication. She specializes in constitutional law, media law and the U.S. Supreme Court. Prior to joining the School of Law faculty, West taught as the Hugo Black Faculty Fellow at the University of Alabama School of Law. She has also served as a judicial clerk for U.S. Supreme Court Justice John Paul Stevens and Judge Dorothy W. Nelson of the U.S. Court of Appeals for the Ninth Circuit. 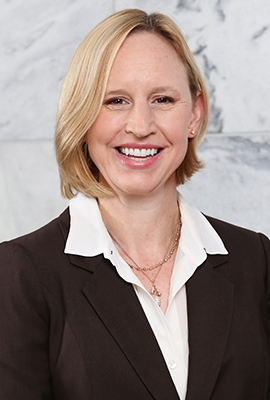 Her other professional experience includes several years as an associate attorney for the Los Angeles law firms Gibson, Dunn & Crutcher and Davis Wright Tremaine, where she represented media clients on a variety of First Amendment and intellectual property issues at the trial and appellate levels. In recognition of her scholarship, West was awarded the Association for Education in Journalism and Mass Communication’s 2017 Harry W. Stonecipher Award for Distinguished Research on Media Law and Policy and the National Communication Association’s 2016 Franklyn S. Haiman Award for Distinguished Scholarship in Freedom of Expression. Her work has been published in numerous law reviews and journals including the Harvard Law Review, the California Law Review, the UCLA Law Review, the Michigan Law Review and the Northwestern Law Review. West also has authored articles about legal issues and the U.S. Supreme Court for Slate, CNN, Washington Monthly and The Huffington Post. She is a frequent commentator for various news media outlets such as The New York Times, The Washington Post, The Wall Street Journal, The Economist, The National Law Journal, Reuters, MSNBC’s "The Last Word with Lawrence O’Donnell," Bloomberg News, The Guardian, The Boston Globe, National Public Radio and Public Radio International. Having earned a B.A. in journalism and communication studies with honors and distinction from the University of Iowa, West worked as a reporter in Illinois, Iowa, and Washington, D.C., before entering law school. She graduated with high honors from the University of Chicago Law School, where she served as executive editor of The University of Chicago Law Review and was inducted into the Order of the Coif. Presidential Attacks on the Press, 83 Mo. L. Rev. 915 (2018). Suing The President For First Amendment Violations, 71 Okla. L. Rev. 321 (2018). Favoring the Press, 106 Calif L. Rev. 91 (2018). The Fragility of the Free American Press,112 Nw. U. L. Rev. Online 47 (2017) (with R.A. Jones). The Supreme Court's Limited Public Forum, 73 Wash. & Lee L. Rev. Online 572 (2017). The Problem with Free Press Absolutism, 50 New Eng. L. Rev. 191 (2016). The 'Press,' Then & Now, 77 Ohio St. L.J. 49 (2016). The Media Exemption Puzzle of Campaign Finance Laws, 164 U.Pa. L. Rev. Online 253 (2016). Student Press Exceptionalism, 2 Educ. L. & Pol'y Rev. 130 (peer reviewed) (2015). First Amendment Neighbors, 66 Ala. L. Rev. 357 (2014). The Stealth Press Clause, 48 Ga. L. Rev. 729 (2014). Press Exceptionalism, 127 Harv. L. Rev. 2434 (2014). Monster in the Courtroom, 2012 BYU L. Rev. 1953 (2012). Awakening the Press Clause, 58 UCLA L. Rev. 1025 (2011). The Story of Us: Resolving the Face-off Between Autobiographical Speech and Privacy, 67 Wash. & Lee L. Rev. 589 (2010). No Civilized System of Justice, 11 Green Bag 521 (2008) (book review of The Day Freedom Died, Charles Lane). Sanctionable Conduct: How the Supreme Court Stealthily Opened the Schoolhouse Gate, 12 Lewis & Clark L. Rev. 27 (2008) (symposium issue). A Conservative Shift, 29 Nat'l L.J. 9 (2007). The Story of Me: The Underprotection of Autobiographical Speech, 84 Wash. U.L. Rev. 905 (2006). Concurring in Part & Concurring in the Confusion, 104 Mich. L. Rev. 1951 (2006). "Possessing With Intent to Distribute" Under the Schoolyard Statute, 64 U. Chi. L. Rev. 1399 (1997).